Following the lead of Withings and its Activité fashion-focused smartwatch, HP is also set to put a modern tech twist on the traditional timepiece; online clothing retailer Gilt has announced that a partnership between the electronics giant and designer Michael Bastian will result in a smartwatch going on sale via its store later this year. The "men's timepiece" is said to pack in smart features "engineered by Hewlett-Packard" such as message notifications and basic real-time alerts on subjects like the weather, sports and stocks. Nothing too challenging for HP to mess up deliver there, we're sure you'll agree. Bastian is, of course, behind the design of the exterior and, while we're not buying the "interior of a luxury car" inspiration angle put forward by Fashionista, we do think it looks like a pretty swish wristwatch. Our earlier cynicism regarding HP aside (surely its not about to bandwagon jump again with a rushed, substandard product a la the ill-fated Touchpad tablet), we're very excited by the blurring of traditional watch making and new, connected technologies. As we stated when writing about the Casio Edifice EQB-500 recently, "not everyone wants a battery draining OLED display on their wrist." 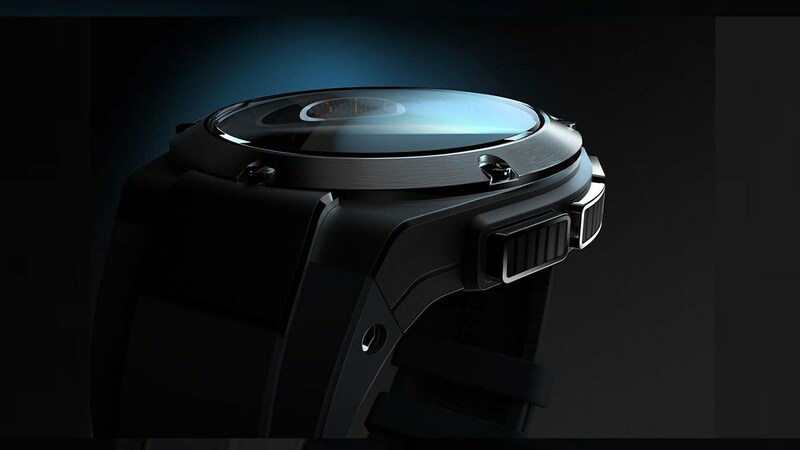 The Gilt HP smartwatch will go on sale in the autumn. There are no price details as of yet.